It is possible that Parallel Universes and the Déjà Vu phenomenon are mysteriously connected. Most of us have had, at least once in our lifetime a ‘déjà vu’ experience, that mysterious feeling where time seems to pass by in slow-motion, where you perceive information in such a way as if you had already experienced the current situation sometime in the distant past. Ranging from paranormal disturbances and neurological disorders, researchers have been trying to explain the mysterious phenomenon for decades, yet no one has been able to fully understand how we can live the ‘déjà vu’ phenomenon so inanely. ‘Déjà vu,’ which originates from the French languages and means ‘already seen’ is a rather common occurrence that we know very little of. When you come to experience a ‘déjà vu’ moment you feel mysteriously overtaken by a mysterious force which unconsciously tells you ‘this already happened before’. The ‘déjà vu’ phenomenon is reported occurring on an occasional basis in 60-80% of people around the world. It is an experience almost always transient and occurs randomly. Many researchers propose that the phenomenon is an experience based on memory and assume that the memory centers in the brain are responsible for the ‘déjà vu’ phenomenon. However, there are those who associate the ‘déjà vu’ phenomenon with prophecies, past life experiences or memories, clairvoyance, or a mystic signpost which could indicate a sense of fulfillment of a ‘predetermined’ condition in life. A Déjà vu experience occurs quickly, without warning and has no physical manifestation apart from the announcement: “I just had a déjà vu”. But if all of the above cannot explain this mysterious feeling that nearly everyone experience once in a lifetime, then what can? 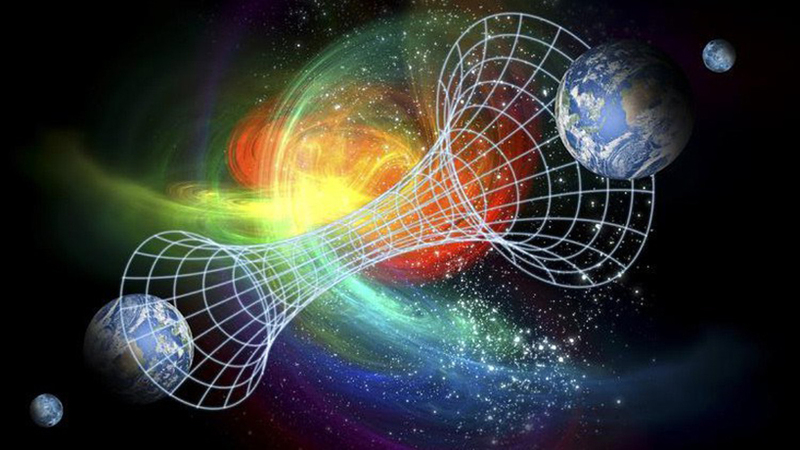 There are some who have connected the ‘déjà vu’ phenomenon with the existence of parallel universes. Parallel universes? But… do they exist? Well actually, Scientists might have spotted another universe sitting next to our own. According to astronomers, light spotted in outer space might have ‘spilled through’ from another universe very close to our own. The bright patches could be in fact leftovers from another universe that began in the vicinity of our own according to scientific study. Scientists believe that they can actually get a peek at one if the said universe started out close enough to our universe, so the two were able to ‘touch’ which would then leave a viewable signature in our universe. In order to find these signatures, scientists have compared a map of the cosmic microwave background (which are basically leftovers from the early universe) with a picture of the entire sky taken by the European Space Agency’s Planck telescope. What they found after left researchers mesmerized. After they subtracted one from the other, they saw an eerie patch of light in the sky, a patch of light that could be explained as being the remains of collisions with other universes. But can a Parallel Universe explain a ‘déjà vu’ experience? According to Dr. Michio Kaku, an American futurist, theoretical physicist and popularizer of science, Parallel universes can explain the mysterious phenomenon and states that quantum physics actually provide the necessary details which suggest déjà vu might be caused by your ability to “flip between different universes”. The idea that other universes (multiverse theory) exist has been supported by several scientists, among them Professor Steve Weinberg, a theoretical physicist and Nobel Prize winner. According to Professor Weinberg, it is possible that in the same room an infinite number of parallel realities coexist with us. All of this means that it is quite possible that, at the exact moment you experienced a ‘déjà vu’, you are in fact ‘vibrating in unison’ with another, parallel universe in the cosmos.